Trouble-maker or critical thinker – which ‘bird personality’ are you in the office? One expert outlines the key ‘bird-like’ personality types which are likely to appear in every office. Mike Irving, a Perth-based business performance mentor, has said that offices are a “hive of personality types” – but warns that most people underestimate the impact personality can have on the bottom line of a business. Irving, who has studied the behavior of hundreds of people, has found that the ‘peacock’ personality – which is typical of salespeople – has the most potential to cause problems. 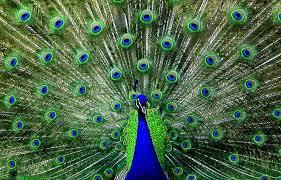 Psychological studies often use the term “peacock” to describe these personalities because of their need to “show off”. According to Irving, there are three other significant personality types that have also been well documented. “In his book What Makes People Tick, Des Hunt came up with these interesting bird analogies – I see them all every time I go into a workplace,” he said. Peacock: Most likely to work in the sales department, or a performance-centric profession such as sport. An example could be Shane Warne – his desire to be the centre of attention ended up damaging his sporting career and his vice-captaincy of the Australian cricket team. Eagle: This is most likely to be the senior manager or CEO, whose top priority is getting things done and achieving targets. An example could be Gina Rinehart because of her tenacity and determination to efficiently get projects to production. Owl: This is the analyser and critical thinker who is often the managing director or CEO of a company; their attention to detail is significant. An example could be Bill Gates. Dove: This personality type is the supporter and nurturer of an environment. They could work in the administration department in a big business, or take up a profession such as nursing or teaching, but are generally not good people supervisors. Personality is becoming more relevant to performance in today’s world of work, according to Irving. “Increasingly, successful people are understanding that human potential is more about the inner work – things like using intuition and clearing negative energies,” he added.